Eureka real estate is made up of both new construction and established homes . These single family homes offer floor plans with 2 bedroom, 3 bedroom or 4 bedroom options. Eureka MO homes for sale range in price from about $100,000 to about $800,000. The median home price in 2014 was approximately $260,000. Residents of Eureka have plenty to do being the home of the major tourist attraction, Six Flags. They have also recently opened The Timbers, a municipal pool along with a state of the art fitness facility and rec center. You will find numerous parks (164 acres!) and a City wide Trail System. You will also find plenty of shopping and restaurants in the quaint Downtown area. Buyers with children that are considering a home in Eureka will be excited to learn that it is served by sought after Rockwood School District. Among numerous other awards all four of the high schools were named “most Challenging” by the Washington Post, a list of their numerous achievements can be found on their Awards Page. See Great Schools for up to date ranking on every school in the area. If you are looking for homes for sale in Eureka MO or you would be interested in buying a home in Eureka, please contact St Louis County real estate expert, Sharon Colona and St. Louis Realty for a professional and simple buying or selling process. Call (636) 397-7653 or email at scolona@stlouisrealty.net. Incredible opportunity to own a magnificent, custom built home on over 4 acres w/ a beautiful pasture! From the moment you drive up to the property you'll notice attention to every detail, from the circle drive to the gorgeous brick and stone front. To the right of the property a beautiful fenced pasture, in the back of the property a beautiful in-ground pool & a 5 stall barn that is a pretty as the home! Barn incl. a wash room, loft, a tack room that has heat/ac. This 1.5 story home has 2 master suites on main level, another bdrm suite upstairs along with 2 additional bdrms w/ possible 3rd in the finished walk-out LL. All of the bells and whistles here: 3 laundry rooms, 3 fireplaces, 3 LL walk-outs, 3 stair cases, zoned heating and cooling, water softener, beautiful ceilings & flooring through the entire home. The gourmet Kitchen is a chef's delight, open to the hearth room & breakfast room, wait until you enter the home & see the wall of windows overlooking this incredible property. They say a picture is worth a thousand words.If that's the case,there's a whole lot to be said about this magnificent home!Are you ready to escape the hustle & bustle of the city & spend a relaxing evening fireside overlooking a million-dollar view of three counties & the absolute best(& most peaceful)of what nature has to offer?Long week...& ready for the weekend?Does that look like a night out in Clayton(30 min drive),a day trip to the Augusta wineries(40 min drive),or better yet a quiet night at home with a glass of wine relaxing in the hot tub as you watch the gorgeous sunset with zero distractions or outside noise? (we don't blame you! )This beautiful 7000 sq ft home on 6+ acres was custom built with this dream in mind! This one-of-a-kind home features 4 bedrooms & 5 baths.Every single room has a better view than the next! It will be hard not to stop,take a look around,& soak up the endless beauty that 1115 Scenic Ridge Dr.(your future home)has to offer!AAA Rated ROCKWOOD SCHOOLS!!! Beautifully Maintained & Updated 1 xBD; Story Home in Sought After Pevely Farms Golf Community. Special attention to Every Detail, Custom Mill-work, Two Story Grand Foyer with Arched Door Ways that lead to The Formal Dining Room & Library/Den, Beautiful Hardwood Floors Through-out the Main Living Space, Two Story Great-Room Features Custom Built-ins, Recessed Lighting, Gas Fireplace & a Wet Bar. A Chefs Kitchen: Granite Counter Tops, Stone Back Splash & Stainless Steel Wolf Appliances. The Hearth Room Leads to a Covered & Screened Two Tier Composite Deck. The Master Suite: Coffered Ceilings, His/Hers Walk-in Closets, Private Luxury Bath with Large Walk-in Shower & Separate Jetted Tub. The Second Floor Offers 3 Additional Bedrooms & 2 Baths. The Walk-out Lower Level: 9ft Pour, Large Family/Game Room, 3rd Fireplace, 5th Bedroom & a Custom Wet Bar. The Exterior Offers a Stone and Brick Front, 3 Car Garage, Professional Landscaping, Heated In-Ground Pool, 2 Tier Patio with Fire-pit. Live on hole 12 of Pevely Farms Golf Course! Incredible 1.5 story, 6 bed, 6 bath home with a view. Sweeping open floor plan with office and separate dining room. Impressive great room is sure to wow with its built in bookshelves, wall of windows and cathedral ceiling. Entertaining is made easy in the spacious kitchen. Custom cabinets and lighting, breakfast bar, stainless steel appliances and plenty of work space is sure to please any aspiring chef. French doors from the breakfast room open out onto the patio and over an acre of yard just begging for a pool. Main floor master suite complete with large bay window, his and hers walk-in closets and vanities and garden jet tub. Upstairs boasts 3 large bedrooms, each with their own walk-in closet and 2 full baths. Enjoy a rec room, media room and 2 additional full baths and bedrooms in the finished walk out lower level. Fresh paint and new carpet, 3 car garage. What more could you want? Schedule a showing for this stunning home today! This superior designed, one story highlights the open floor plan and the generous upgrades throughout. Beautiful birch flooring flows from the entry into the den and continues into the dining room w/coffered ceilings and the great room w/12' ceilings and gas fireplace w/natural stone surround. The unforgettable kitchen w/42 x201D; cabinetry, granite counters, center island, stainless appliances, and breakfast room will bring out the chef in anyone. The nearby laundry center w/42 cabinetry, and granite counters is a bonus! Retreat into the master suite w/walk-in closet and luxury bath w/an oversized soaking tub, and His & Her vanities. On the opposing side awaits two additional bedrooms w/walk-in closets and bathroom. The possibilities are endless w/ the 8 x2019; lookout foundation, framed rear wall and roughed in plumbing. Enjoy beautiful sunsets from the deck as you overlook the secluded, one-acre grounds that backs to trees. This home features everything that makes a house, a home! Fischer and Frichtel presents The Manors of Pevely Farms, a gorgeous community nestled within the gates of Pevely Farms Golf Course. Select from Fischer and Frichtel x2019;s exclusive Vista Collection of homes and enjoy glorious views that stretch for miles. Choose from 9 stunning home designs featuring Ranch and 1.5 Story plans ranging from 3,503 to 4,109 sq ft. Home sites are 1+ acres and the community is located in the top rated Rockwood School Dist. The Cape Cod is a 4 bdr, 3.5 bath, 4,105 sq ft 1.5 story with a main floor Master Suite. Features include 3 car, side entry garages, 9 ft ceilings, hardwood floors in the Foyer-Kitchen-Brkfst Rm, granite countertops, double oven, Hearth Room, Fireplace, luxurious Master Suites and more. Dynamic exteriors inc brick with stone detail, James Hardie fiber cement siding, architectural shingles, full sod, professional landscape and an irrigation system. Personalize your home to fit your unique needs with the assistance of a professional designer. Fischer and Frichtel presents The Manors of Pevely Farms, a gorgeous community nestled within the gates of Pevely Farms Golf Course. Select from Fischer and Frichtel x2019;s exclusive Vista Collection of homes and enjoy glorious views that stretch for miles. Choose from 9 stunning home designs featuring Ranch and 1.5 Story plans ranging from 3,503 to 4,109 sq ft. Home sites are 1+ acres and the community is located in the top rated Rockwood School Dist. The Nantucket is a 4 bdr, 3.5 bath, 3,563 sq ft ranch. Features include 3 car, side entry garages, 9 ft ceilings, hardwood floors in the Foyer-Kitchen-Brkfst Rm, granite countertops, double oven, Hearth Room, Fireplace, luxurious Master Suites and more. Dynamic exteriors inc brick with stone detail, James Hardie fiber cement siding, architectural shingles, full sod, professional landscape and an irrigation system. Personalize your home to fit your unique needs with the assistance of a professional designer. Fischer and Frichtel presents The Manors of Pevely Farms, a gorgeous community nestled within the gates of Pevely Farms Golf Course. Select from Fischer and Frichtel x2019;s exclusive Vista Collection of homes and enjoy glorious views that stretch for miles. Choose from 9 stunning home designs featuring Ranch and 1.5 Story plans ranging from 3,503 to 4,109 sq ft. Home sites are 1+ acres and the community is located in the top rated Rockwood School Dist. The Westbrooke is a 4 bdr, 3.5 bath, 4,109 sq ft 1.5 story with a main floor Master Suite. Features include 3 car, side entry garages, 9 ft ceilings, hardwood floors in the Foyer-Kitchen-Brkfst Rm, granite countertops, double oven, Hearth Room, Fireplace, luxurious Master Suites and more. Dynamic exteriors inc brick with stone detail, James Hardie fiber cement siding, architectural shingles, full sod, professional landscape and an irrigation system. Personalize your home to fit your unique needs with the assistance of a professional designer. Fischer and Frichtel presents The Manors of Pevely Farms, a gorgeous community nestled within the gates of Pevely Farms Golf Course. Select from Fischer and Frichtel x2019;s exclusive Vista Collection of homes and enjoy glorious views that stretch for miles. Choose from 9 stunning home designs featuring Ranch and 1.5 Story plans ranging from 3,503 to 4,109 sq ft. Home sites are 1+ acres and the community is located in the top rated Rockwood School Dist. The Wyndham is a 4 bdr, 3.5 bath, 3,849 sq ft 1.5 story with a main floor Master Suite. Features include 3 car, side entry garages, 9 ft ceilings, hardwood floors in the Foyer-Kitchen-Brkfst Rm, granite countertops, double oven, Hearth Room, Fireplace, luxurious Master Suites and more. Dynamic exteriors inc brick with stone detail, James Hardie fiber cement siding, architectural shingles, full sod, professional landscape and an irrigation system. Personalize your home to fit your unique needs with the assistance of a professional designer. Fischer and Frichtel presents The Manors of Pevely Farms, a gorgeous community nestled within the gates of Pevely Farms Golf Course. Select from Fischer and Frichtel x2019;s exclusive Vista Collection of homes and enjoy glorious views that stretch for miles. Choose from 9 stunning home designs featuring Ranch and 1.5 Story plans ranging from 3,503 to 4,109 sq ft. Home sites are 1+ acres and the community is located in the top rated Rockwood School Dist. The Parkview II is a 4 bdr, 3.5 bath, 3,840 sq ft 1.5 story with a main floor Master Suite. Features include 3 car, side entry garages, 9 ft ceilings, hardwood floors in the Foyer-Kitchen-Brkfst Rm, granite countertops, double oven, Hearth Room, Fireplace, luxurious Master Suites and more. Dynamic exteriors inc brick with stone detail, James Hardie fiber cement siding, architectural shingles, full sod, professional landscape and an irrigation system.Personalize your home to fit your unique needs with the assistance of a professional designer. Custom ranch in the prestigious Knoll section of the Legends Golf Community! Elegant curb appeal is highlighted w/stone & brick front, 3 car side entry garage & more. Walk in the front door to high end finishes including wood floors, neutral paint/carpets, 11 ft ceilings & arched hallways. HUGE Gourmet kitchen is a show stopper w/dramatic natural beams, 42 in cabinets, granite counters, commercial grade Jenn-Air wall ovens & gas cooktop, center island & large dining area. Hearth room complimented w/stone FP & gorgeous windows. LR features built in shelving, recessed lighting & tons of natural light. Formal DR boasts bay windows & crown molding. Master suite is beautifully done w/bay window seating & walk in closet. MB provides dual sinks, Jacuzzi tub & separate shower. 2 additional BR's on main level share a full bath. W/O LL is professionally finished w/high ceilings, bar area, media room, rec room, 4th BR & full bath. Corner lot, Rockwood Schools, views of the golf course! Stunning Luxury homes are now available at The Forest at Pevely Farms by Payne Family Homes! Offering spectacular views, many of the home-sites back to West Tyson County Park and others have bluff views overlooking the Meramec River Valley. Featuring the prestigious Louis Collection, this series offers upscale Ranch, 1.5 story and 2-story designs ranging from 2,700 to 4,000 sq ft. The Blanchette, an elegant 2 Story home with 4 bdr, 2.5 baths, and 3,816 sq ft has been thoughtfully designed offering the perfect combination of space, function and style for extraordinary living. Features inc a 3 car side entry garage, granite countertops, huge W/I pantry, a pocket office, Luxurious Owners Suite, spectacular chefs Kitchen, main floor Office-Flex Rm, convenient 2nd floor laundry, irrigation system and more. Enjoy exquisite finishes and dynamic plan variations. Pevely Farms is located in the Rockwood school district and is minutes from all that Eureka has to offer. Fischer and Frichtel presents The Manors of Pevely Farms, a gorgeous community nestled within the gates of Pevely Farms Golf Course. Select from Fischer and Frichtel x2019;s exclusive Vista Collection of homes and enjoy glorious views that stretch for miles. Choose from 9 stunning home designs featuring Ranch and 1.5 Story plans ranging from 3,503 to 4,109 sq ft. Home sites are 1+ acres and the community is located in the top rated Rockwood School Dist. The Nantucket II is a 4 bdr, 3 bath, 3,712 sq ft ranch, (including lower level finish). Features include 3 car, side entry garages, 9 ft ceilings, hardwood floors in the Foyer-Kitchen-Brkfst Rm, granite countertops, double oven, Hearth Room, Fireplace, luxurious Master Suites and more. Dynamic exteriors inc brick with stone detail, James Hardie fiber cement siding, architectural shingles, full sod, professional landscape and an irrigation system. Personalize your home to fit your unique needs with the assistance of a professional designer. Stunning Luxury homes are now available at The Forest at Pevely Farms by Payne Family Homes! 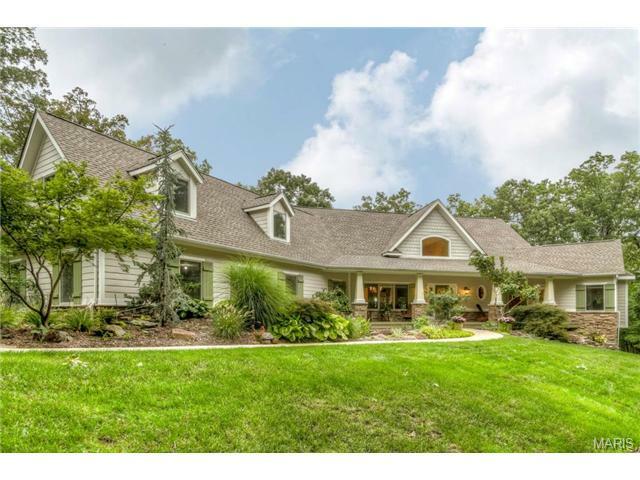 Offering spectacular views, many of the home-sites back to West Tyson County Park and others have bluff views overlooking the Meramec River Valley. Featuring the prestigious Louis Collection, this series offers upscale Ranch, 1.5 story and 2-story designs ranging from 2,700 to 4,000 sq ft. The Musial, a classic 1.5 plan with 4 bdrs, 2.5 Baths, and 3,695 sq ft has been thoughtfully designed with a main flr Master Suite, two story Great Rm and Foyer, smart side staircase design and spectacular chefs Kitchen. Features inc a 3 car side entry garage, granite countertops, a Luxurious Owners Suite, main flr Office-Flex Rm, Loft, Bonus Rm, irrigation system and more. See the onsite Sales Mgr for a list of exquisite finishes along with dynamic plan variations. Pevely Farms is located in the top rated Rockwood school district and is minutes from all that Eureka has to offer. Fischer and Frichtel presents The Manors of Pevely Farms, a gorgeous community nestled within the gates of Pevely Farms Golf Course. Select from Fischer and Frichtel x2019;s exclusive Vista Collection of homes and enjoy glorious views that stretch for miles. Choose from 9 stunning home designs featuring Ranch and 1.5 Story plans ranging from 3,503 to 4,109 sq ft. Home sites are 1+ acres and the community is located in the top rated Rockwood School Dist. The Arlington II is a 5 bdr, 3 bath, 3,512 sq ft ranch, (including lower level finish). Features include 3 car, side entry garages, 9 ft ceilings, hardwood floors in the Foyer-Kitchen-Brkfst Rm, granite countertops, double oven, Hearth Room, Fireplace, luxurious Master Suites and more. Dynamic exteriors inc brick with stone detail, James Hardie fiber cement siding, architectural shingles, full sod, professional landscape and an irrigation system. Personalize your home to fit your unique needs with the assistance of a professional designer. Stunning Luxury homes are now available at The Forest at Pevely Farms by Payne Family Homes! Offering spectacular views, many of the home-sites back to West Tyson County Park and others have bluff views overlooking the Meramec River Valley. Featuring the prestigious Louis Collection, this series offers upscale Ranch, 1.5 story and 2-story designs ranging from 2,700 to 4,000 sq ft. The McKinley, a sophisticated 1.5 style home w/4 bdrms, 2.5 baths, and 3,275 sq ft has been thoughtfully designed with a main floor Master Suite, a dramatic 2 story Entry and a dynamic angled staircase. Features inc a 3 car side entry garage, granite countertops, 9 and 12 ft ceilings, a Luxurious Owners Suite, spectacular chefs Kitchen, main floor Office-Flex Rm, irrigation system and more. Enjoy exquisite finishes along with efficient and dynamic plan variations. Pevely Farms is located in the sought after Rockwood school district and is minutes from all that Eureka has to offer. Fischer and Frichtel presents The Manors of Pevely Farms, a gorgeous community nestled within the gates of Pevely Farms Golf Course. Select from Fischer and Frichtel x2019;s exclusive Vista Collection of homes and enjoy glorious views that stretch for miles. Choose from 9 stunning home designs featuring Ranch and 1.5 Story plans ranging from 3,503 to 4,109 sq ft. Home sites are 1+ acres and the community is located in the top rated Rockwood School Dist. The Woodside is a 4 bedroom, 3 bath, 3,528 square foot (with lower level finish), split bedroom ranch with a Study and a side entry 3 car garage. Dynamic exteriors include brick with stone detail, James Hardie fiber cement siding, architectural shingles, full sod, professional landscape and an irrigation system. Personalize your home to fit your unique needs with the assistance of a professional designer. Check out this beautiful custom built home loaded with updates! The open concept feeling as soon as you walk in the door gives you that cozy feeling right from the start.Vaulted kitchen is a chefs dream featuring huge center island w/sink, dishwasher & solid surface counter top. Custom cabinetry w/subway tile back splash is absolutely breathtaking. Relax & cozy up by the fire with the floor to ceiling stone wall & custom built drywall shelves on each side. Enjoy entertaining family & friends in your large dining & breakfast room area. Master bedroom features large walk in closet w/gorgeous en suite bath with,separate double sinks, large corner tub & tiled shower w/seat. Two additional main floor bedrooms feature large walk in closets & plush carpeting. Fully finished LL is complete with a media room, recreational area, bedroom, bathroom & walk out. Other features include: Main floor laundry, 3-car garage, 8ft doors/main level, security system & large level lot backing to trees/woods! Stunning Luxury homes are now available at The Forest at Pevely Farms by Payne Family Homes! Offering spectacular views, many of the home-sites back to West Tyson County Park and others have bluff views overlooking the Meramec River Valley. Featuring the prestigious Louis Collection, this series offers upscale Ranch, 1.5 story and 2-story designs ranging from 2,700 to 4,000 sq ft. The Eads, an innovative ranch style home with 4 bdrs, 3 Baths, and 2,940 sq ft has been thoughtfully designed and offers the perfect combination of space, function and style for extraordinary living. Features include a 3 car side entry garage, granite countertops, 9 and 12 ft ceilings, a Luxurious Owners Suite, private In Law Suite, secluded deck-patio area, irrigation system and more. Enjoy exquisite finishes along with efficient and dynamic plan variations. Pevely Farms is located in the sought after Rockwood school district and is minutes from all that Eureka has to offer. Fischer and Frichtel presents The Manors of Pevely Farms, a gorgeous community nestled within the gates of Pevely Farms Golf Course. Select from Fischer and Frichtel x2019;s exclusive Vista Collection of homes and enjoy glorious views that stretch for miles. Choose from 9 stunning home designs featuring Ranch and 1.5 Story plans ranging from 3,503 to 4,109 sq ft. Home sites are 1+ acres and the community is located in the top rated Rockwood School Dist. The Durham II is a 4 bdr, 3 bath, 3,503 sq ft ranch, (including lower level finish). Features include 3 car, side entry garages, 9 ft ceilings, hardwood floors in the Foyer-Kitchen-Brkfst Rm, granite countertops, double oven, Hearth Room, Fireplace, luxurious Master Suites and more. Dynamic exteriors inc brick with stone detail, James Hardie fiber cement siding, architectural shingles, full sod, professional landscape and an irrigation system. Personalize your home to fit your unique needs with the assistance of a professional designer. Custom built 1.5 story located in quite culdesac. The minute you walk in you will notice the owners pride in ownership. 4 beds/4.5 baths, Great Room boasts picturesque views from two story Palladian windows. Exceptional main floor master bedroom features his & hers walk-in closets, his & hers vanities whirlpool & separate shower. Chefs dream kitchen with granite countertops, custom cabinetry, stainless appliances, wood flooring, with breakfast bar, built-in desk, walk-in pantry; is open to a breakfast room and beautiful hearth room with custom cabinetry and cultured stone fireplace. Three upstairs bedrooms, one with a full bath, two share a x2018;jack & jill x2019; and a loft area. Exceptional finished lower level with an open game room, bar, full bath, and a media room. New 3-season room in back over looking beautiful wooded scenery. All located in Southern Hills at the Legends. Stunning Luxury homes are now available at The Forest at Pevely Farms by Payne Family Homes! Offering spectacular views, many of the home-sites back to West Tyson County Park and others have bluff views overlooking the Meramec River Valley. Featuring the prestigious Louis Collection, this series offers upscale Ranch, 1.5 story and 2-story designs ranging from 2,700 to 4,000 sq ft. The Clark, a superbly designed atrium ranch home with 3 Bdrms, 2.5 Baths, and 2,745 sq ft is feature rich offering the perfect combination of space, function and style for extraordinary living. Features inc a 3 car side entry garage, granite countertops, 9 and 12 ft ceilings, unforgettable chef x2019;s Kitchen, a Luxurious Owners Suite, stone fa xE7;ade with brick detail, irrigation system and more. Enjoy exquisite finishes along with efficient and dynamic plan variations. Pevely Farms is located in the sought after Rockwood school district and is minutes from all that Eureka has to offer. Striking 1.5 Story, 6 beds and over 5,000sf of living space located in private setting on over 4 acres. Beautiful stone exterior with attractive millwork, arched doorways, hardwood floors and trimmed windows throughout. Spacious gourmet kitchen, ss appliances, custom gas range and granite counters with addl separate dining rm the comfortably seats 12. Light and bright two story great rm with floor to ceiling windows, and double door walkouts to patio and deck. MF Mstr Bdrm Suite with door to deck and inset hot tub overlooking large, level yard backing to woods. UL bdrms with jack-n-jill baths. In addition to the main home, the three car garage offers a second spacious kitchen with upper level bedroom, living area and full bath. Opportunity for second living area with separate entrance, hobby area or office. Full, finished LL with side walk out. Home boast neutral decor, move-in ready. Just minutes from hwy 44 and hwy 30. Incredible, 1.5 Sty home has a fabulous floor plan & an impressive list of upgrades. Entertaining will be a breeze with spacious rooms & a beautifully landscaped backyard. Envision relaxing with friends on the patio while enjoying a cozy fire in the built-in fire pit. Dramatic 2sty Great Rm has a gas fireplace accented by soaring windows. Dream Kitchen with expanded plan offers an abundance of cabinets, granite counter tops, tile backsplash, walk/in pantry, downdraft cooktop, stainless double oven, dishwasher & microwave. Luxurious 1st floor Master Suite, 2nd floor has 3 additional bedrooms, 2 full baths & a huge Recreation Room. 2Sty foyer is flanked by Office & elegant Dining Rm w/tray ceiling & arched openings. 4 Bedrooms, 3.5 baths, 3 car garage, Main Floor Laundry, Sprinkler System, fenced yard, deep pour foundation w/daylight windows & rough in plumbing, tinted windows west side of home. Popular Mirasol Subdivision has a pool & tennis court, Rockwood Schools, Jefferson Co taxes.